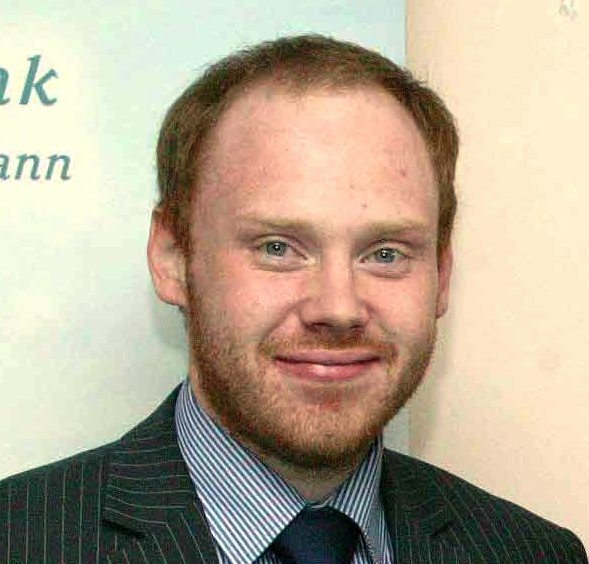 Seán O’Leary is Policy and Communications Officer with Irish Rural Link – the national network of rural community groups. Previously Seán has worked as a Community Development Worker in Blanchardstown, with the RAPID programme in Drogheda and provided media and research support to Trish Godman, a Member of the Scottish Parliament. Rural poverty, intertwined with exclusion and isolation, has been around for a long time. It is documented in Patrick Kavanagh’s “The Great Hunger” and the writings of John B. Keane. Though it is well over a decade on from the publication of Curtin, Tovey and Hasse’s “Poverty in Rural Ireland” the issues examined within each chapter continue to be the main challenges in addressing social disadvantage in rural areas. These include demography, agriculture, access to services and limited employment opportunities. Poverty is more likely to occur in rural areas than urban areas. In 2008 the risk of poverty in rural Ireland was 6.9 per cent higher than in urban Ireland with at risk rates of 18.2 per cent and 11.3 per cent respectively. Trutz Hasse data shows remote rural areas are consistently amongst the most disadvantaged in the state. The difference between the ‘poorest’ and ‘richest’ counties increased over the Celtic tiger period and disposable incomes in rural areas are below those of urban areas. In rural areas poverty and disadvantage is experienced at individual level, or it is dispersed over large geographical areas. Rural poverty can exist side by side with considerable wealth and affluence but is frequently hidden and unnoticed. Isolation can have serious psychological effects and suicide rates in rural areas can be up to 25% greater than in Dublin. Rural areas experience higher levels of child poverty and there is some evidence that take-up rates are lower in rural areas, due to less access to information and advice about public benefit entitlement, a prevailing culture of independence and self-reliance in rural areas, and the lack of anonymity in collecting benefits. The Vincentian Partnership for Social Justice is carrying out a ground breaking study on the cost of a minimum essential standard of living in rural areas and preliminary findings suggest the same basket of goods and services costs rural households significantly more than their urban counterparts. At the Budapest EU seminar on poverty and social exclusion in rural areas held in June 2009 an interesting piece of research was presented. The study, completed at the end of 2008 – before the worst of our current recession became known – made it clear that rural poverty is still a disappointingly strong constant in the 15 EU countries surveyed, including Ireland. The report cites the importance of European development policy in fighting poverty and social exclusion in rural areas, particularly in terms of its support for improved infrastructure, tourism, rural small and medium enterprises and the continued development of farming. Allied to these are more recent supports for initiatives such as renewable energy, and information and communications technology. Because of the nature of the rural housing stock, the types of fuels available (with limited opportunities to switch to cheaper fuels such as gas) and their lower incomes rural households are at greater risk of fuel poverty. The carbon tax could cost rural households ten times more than some urban households and the continued lack of detail on the measures proposed to protect low income rural households is regrettable. Having a job is probably the best safeguard against poverty and exclusion but unemployment in the more rural counties is running above that in the cities. Rural areas are characterised by their narrow economic base. The rise in unemployment occurring across all sectors will be most difficult to resolve in rural areas which are over-reliant on primary industries such as agriculture, construction and low-level manufacturing. According to the 2006 Census, one in five of the working population of rural areas is working in agriculture (as a farmer or agriculture worker), a decline from one in three in 2002. Clearly opportunities for jobs beyond farming and for the families of farmers must be created. Average farm income last year was €12,000 per farm, the lowest income since 1999. Farm income lags considerably behind the national average with farm incomes in the BMW region lagging even further behind those in the South and East. A social group significantly impacted upon by the decline in construction are smallholders and part-time farmers who supplemented farming income with off-farm work. In many cases they worked full-time in construction and undertook farming in their off hours. A study by O’Brien and Hennessy (2007) has shown that participation in the off-farm labour market plays an important role in ensuring the sustainability of farm households and in insulating farm families from poverty. The challenge faced by this cohort is giving them the opportunity to benefit from retraining. According to the CSO the greatest factor in determining a household’s access to services is not income, but location. The development of a community based rural transport programme has been a huge asset to rural communities however it is still only in its infancy. According to NESC “Access to services – in health, education, housing and other areas – is also integral to social protection and, in some instances, more important to securing people’s living standards and participation in society than having a higher money income”. The report concludes that such services are vital to maintaining social cohesion and combating social exclusion. At an EU level access to well functioning, accessible, affordable and high quality public services is seen as an important part of citizenship and a fundamental right. The provision of access to services of good quality makes a major contribution to the prevention, reduction and ultimate elimination of rural poverty and social exclusion. Experience has shown that devoting a higher proportion of resources to essential services achieves better outcomes for vulnerable groups, than an over reliance on income support. A three pronged approach is required to combat rural exclusion; this must look at the areas of resource deprivations (e.g. low income), opportunity deprivation (arising from the lack of availability of services) and mobility deprivation (from isolation, lack of transport and inaccessibility of jobs). The Rural Social Scheme (RSS) allows low-income farmers and fishermen to earn a supplementary income while, at the same time, benefitting rural communities by maintaining and improving local amenities and facilities. However the RSS needs to develop an emphasis on training and upskilling in order to copperfasten its long term benefits. Where outreach training is available it tends to be delivered using an urban model which requires a relatively high quota of participants before a course will be offered. This limits the range of opportunities available. When training is offered it can require travelling significant round trips. Finally it is worth considering how the language of social exclusion can alienate many rural communities. The language built around this term has become the main reason why many groups have not participated in training programmes designed to inform them on social exclusion issues. It is also the case, that many of the models designed to tackle rural exclusion are of urban origin. For many it as seen as threatening their own culture, or way of life, which in it self is undergoing enormous change. The CLÁR programme (whose budget has been significantly reduced) for example provides no real opportunities for community engagement unlike the more proactive and participative RAPID approach. Developing meaningful local involvement and participation is vital.